Maison LaRoux Interiors, LLC exclusively owns and controls the Sites, which provides information about my products and services and may, from time to time, provide access to educational materials pertaining to a variety of topics including but not limited to interior design, lifestyle design, health and wellness, food and food preparation, fashion, and beauty. You agree that, use or access to any or all of the Sites does not, standing alone, create any sort of representation or future promise. The unauthorized reproduction, use of, or theft of any content, written, photographic, or otherwise, is expressly prohibited. 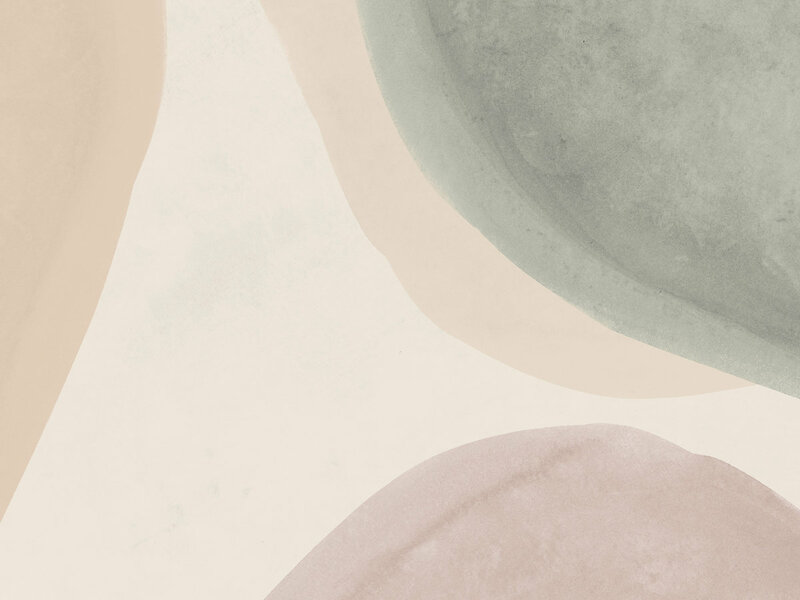 By using the Sites, you expressly agree to pay a fine of $50 per incident for any unauthorized use of our content, at the sole discretion of Maison LaRoux Interiors, LLC. Unless explicitly stated otherwise, as between you and Maison LaRoux Interiors, LLC., Maison LaRoux Interiors, LLC. owns all right, title, and interest in and to the Sites, including, without limitation, graphics, site content, design, organization, compilation and other matters related to or included on the Sites. 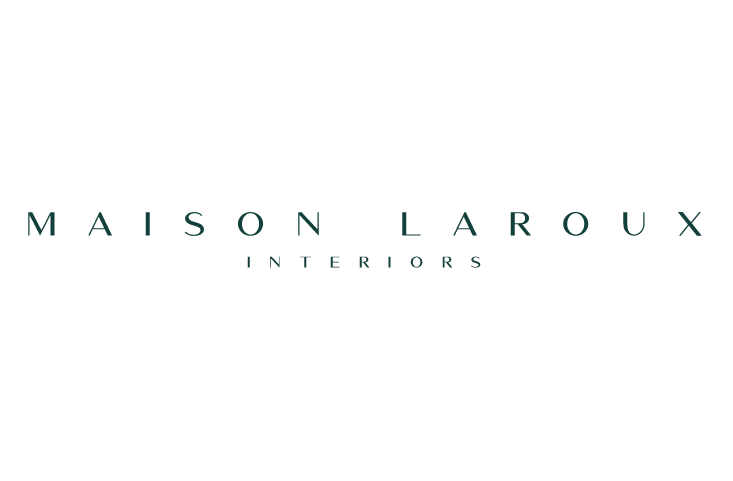 My name, Maison LaRoux Interiors, LLC. and all related names, product and service names, logos, slogans and designs are my trademarks and you may not use these marks without my prior written permission. All other names, logos, product and service names, designs and slogans on the Sites are the trademarks of their respective owners and should not be used without those respective owners’ permission. You are granted a non-exclusive, non-transferable, revocable license to access and use the Sites and the resources available for download from the Website strictly in accordance with these Terms. 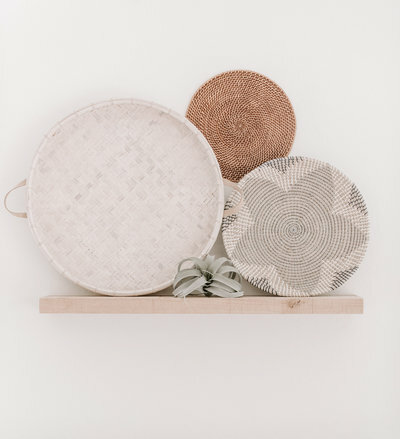 Content and materials posted to the Site may be the copyrighted content of others (“Third Party Content”) that is used by Maison LaRoux Interiors, LLC. either by permission or under Section 107 of the Copyright Act as “fair use” for purposes such as education and research. I respect the intellectual property of others and ask that you to do the same. Users must obtain permission from the owners of any Third Party Content before copying, distributing or otherwise using those materials. Except as otherwise expressly permitted under copyright law, no copying, redistribution, retransmission, publication, or commercial exploitation of downloaded material will be permitted without the express permission of the copyright owner. Anyone linking to the Sites must comply with all applicable laws and must not: (i) misrepresent its relationship with Maison LaRoux Interiors, LLC. 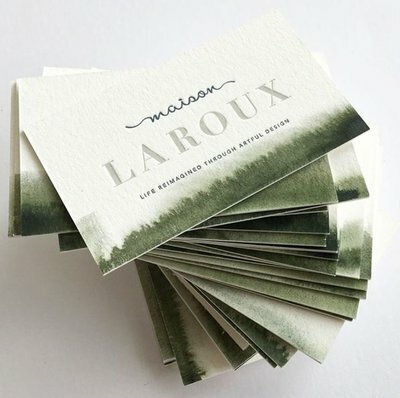 ; (ii) present false or misleading information about Maison LaRoux Interiors, LLC. ; or (iii) contain content that is reasonably considered profanity, offensive, defamatory, vulgar, or unlawful. You may find links to other websites on a Site. These links are provided solely as a convenience to you and not as an endorsement by Maison LaRoux Interiors, LLC. of the contents on such third-party sites, and I expressly disclaim any representations regarding the content or accuracy of materials on such third-party websites. You acknowledge and agree that Maison LaRoux Interiors, LLC. shall not be responsible or liable, directly or indirectly, for any damage or loss caused or alleged to be caused by or in connection with use of or reliance on any such content, goods or products available on or through any such linked site. You agree that it is your responsibility to evaluate the accuracy, completeness, or usefulness of any information, opinion, advice, etc., or other content available through such third-party sites. THE SITES ARE PROVIDED ON AN “AS IS” AND “AS AVAILABLE” BASIS, WITHOUT WARRANTY OF ANY KIND. 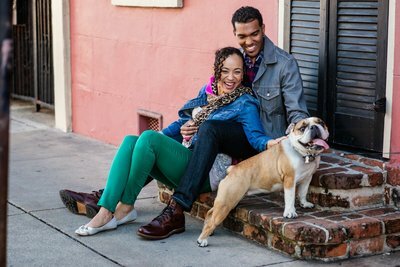 MAISON LAROUX INTERIORS, LLC., TOGETHER WITH ITS AFFILIATES, LICENSORS, SERVICE PROVIDERS, EMPLOYEES, AGENTS, OFFICERS OR DIRECTORS (THE “RELEASED PARTIES”), SPECIFICALLY DISCLAIM ALL WARRANTIES, EXPRESS OR IMPLIED, INCLUDING, BUT NOT LIMITED TO, WARRANTIES OF MERCHANTABILITY, FITNESS FOR A PARTICULAR PURPOSE, AND NON-INFRINGEMENT AND WARRANTIES THAT MAY ARISE OUT OF COURSE OF DEALING, COURSE OF PERFORMANCE, USAGE OR TRADE PRACTICE. THE RELEASED PARTIES DO NOT GUARANTEE THE RELIABILITY, ACCURACY, COMPLETENESS, SAFETY, TIMELINESS, LEGALITY, USEFULNESS, ADEQUACY OR SUITABILITY OF ANY OF THE INFORMATION OR CONTENT ON THE SITES. ACCORDINGLY, YOU AGREE TO EXERCISE CAUTION, DISCRETION AND COMMON SENSE WHEN USING THE SITES. THE ENTIRE RISK FOR USE OF THE SITE AND/OR SERVICES IS BORNE BY YOU. These Terms are governed by the laws of the State of Georgia without regard to any conflict of laws principle. For any dispute regarding these Terms or the Sites, you agree to submit to the personal and exclusive jurisdiction and venue of the federal and state courts located in the State of Georgia, United States of America. 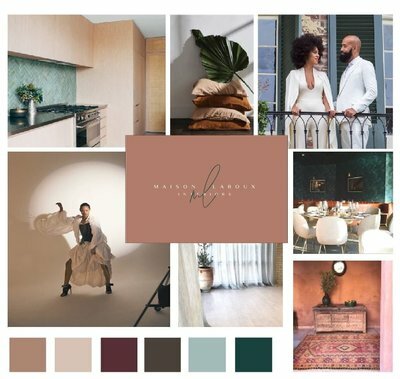 This website is operated by Maison LaRoux Interiors, LLC., All other feedback, comments, requests for technical support and other communications relating to the Sites should be directed to: latoya@maisonlaroux.com. Thank you for visiting the Sites! If you are a member of the European Union (EU), you have special rights under the GDPR. Those include: You have the right to object to the processing of your data and the right to portability of your data. All complaints must be sent to your support email address or email address of your GDPR representative or data processor. You also have the right to erasure, rectification, access, or to seek restrictions to the processing of your personal data in our system. To the extent you provide consent to our processing of your personal data, you have the right to withdraw that consent at any time. Any withdrawal of consent does not apply to data collected lawfully prior to such consent. You have the right to lodge a complaint with a supervisory authority containing jurisdiction over GDPR related issues. I only retain Personal Data collected from Users for as long as (the User’s account is active) or otherwise for a limited period of time as long as I need it to fulfill the purposes for which I have initially collected it, unless otherwise required by law. I will retain and use information as necessary to comply with my legal obligations, resolve disputes, and enforce my agreements for a period of number of years. (note, you can specify how long you retain each type of information, such as accounting or billing information for a period of 7 years, or legal information for a period of 10 years). You have the right to request access to the information we have for you. You can do this by contacting us at your support email. We will make sure to provide you with a copy of the data we process about you In order to comply with your request, we may ask you to verify your identity. We will fufill your request by sending your copy electronically, unless the request specifies a different method. If you believe that the information we have about it is incorrect, or if you wish to remove your private information (such as an email address provided in an opt-in), you may contact us at your support email. Any data that is no longer needed for the purposes specified herein will be deleted.